The cold, gloomy weather in Bangalore provides the perfect reason to cuddle up inside a blanket, with a hot cup of masala chai and a page-turner mystery novel for company. 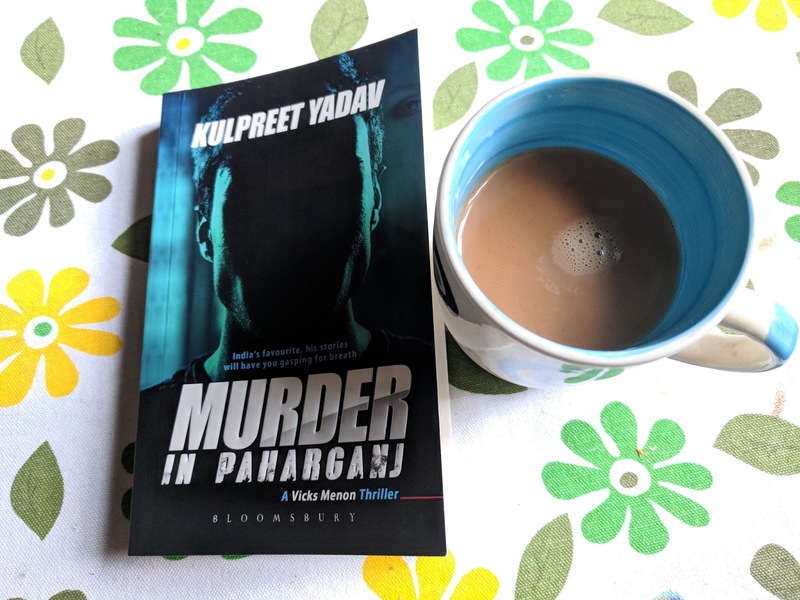 Over the last couple of days, I finished reading this interesting thriller - Kulpreet Yadav’s Murder in Paharganj. I love to watch murder mystery movies that stay focused on the main plot without ANY distractions. Usually, the hero who investigates such crimes would have a sub-plot, that at times becomes so dragging and takes the interest away from the main plot. Not to forget the totally unnecessary songs - be it the romance angle between the hero and the heroine OR an item-number with skin show. So irritating to sit through such movies, isn’t it? Murder mystery stories should keep you hooked for the entire duration of the movie, with suspense and clues for the audience to keep guessing. A recent good mystery movie I enjoyed watching was “Dhruvangal Padhinaaru”. The expectation holds true for books as well. Thankfully, the author of “Murder in Paharganj” focused completely on the core plot, without any major deviations. There weren’t too many elaborate subplots that could have potentially expanded - be it the estranged relationship between Vicks and his father or that of Vicks and his girlfriend Tonya. Right from the start, the story moves at a brilliant pace. I wouldn’t call this a murder “mystery", as the killer is revealed in the first few pages. The story is more like a cat-and-mouse chase between Vicks and the killer, spanning various cities. The chase keeps you on the edge of your seat, especially during a couple of unexpected moments when Vicks get attacked by the killer. Locating the killer in a big city like Bangkok seemed too easy. A better handling of the search would have made it more intriguing. Overall, it was an interesting, entertaining read, except for the end.